Login Home | My Account | Contact Us | Report Site Error| Help! Did you know that if a Cougar was ordered with a custom color, the paint code on the door tag was blank? 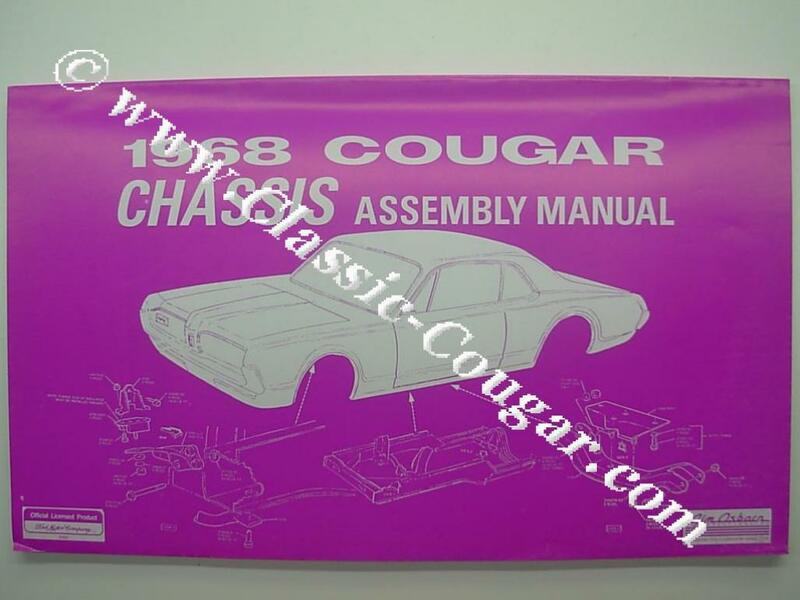 95 pages that every classic Cougar owner who works on his own car must have. Will save many hours of frustration. Here's our little film to help you fortify your flexxy feline! * - Limitations apply, please see the rewards program page for more information. Below is a general description of what the criteria is for our product condition grades. These are generalizations that are intended to give you an idea of the condition of the product at a quick glance. Because different parts degrade at different rates, there are variances in what the letters represent, please see the products description for details about the condition of any particular product. Images embedded with "© www.classic-cougar.com" or "© www.CougarPartsCatalog.com" may be used as long as they remain unmodified. Please ask permission before using any other material off this website. All images and text are property of West Coast Classic Cougar, unless otherwise noted. © 1989 - West Coast Classic Cougar, Inc. All Rights Reserved.